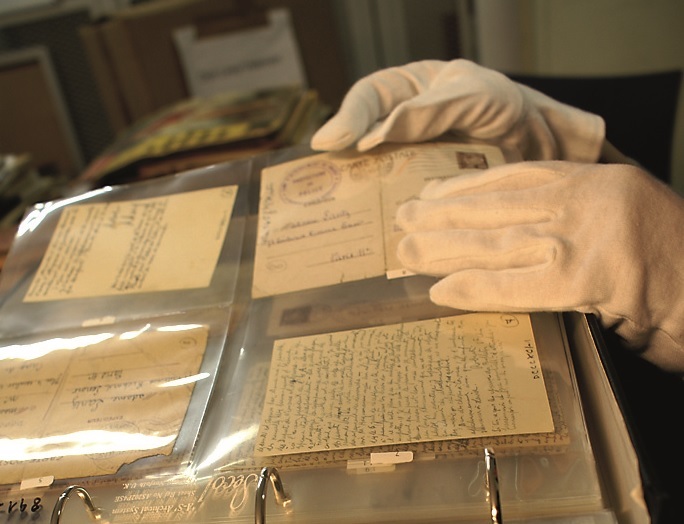 As part of IHRA’s multi-year work plan, the Steering Committee on Archival Access has created a new survey on access to Holocaust-related archival materials. IHRA seeks to assess user experiences at institutions that hold Holocaust-related material. The goal is to improve access for scholars, educators, genealogists, museum professionals, and anyone who needs to utilize the vast record of the Holocaust. This brief survey is available in English, French, German, and Russian to provide for broader participation by the wide range of scholars and researchers interested in the Holocaust from across the world. The data collected from this yearlong assessment will provide a baseline for later reviews by scholarly and archival experts, as well as governmental representatives. Want to learn more about the survey? Visit our YouTube channel to watch a video interview with Dr. Robert Williams, Chair of IHRA’s Steering Committee on Archival Access. IHRA’s Multi-Year Work Plan on Archival Access will assess the state of access to Holocaust-relevant materials by focusing on the legal, physical, and material obstacles that confront scholars and researchers who utilize Holocaust-relevant documentation. The project consists of five phases, beginning with an assessment of researchers’ experiences at archives across the world, including those in IHRA member countries. The Multi-Year Work Plan on Archives is an appropriate and important undertaking for the IHRA because it will further discussion on archival access for scholars, researchers, governments, and the public. Moreover, it will inform knowledge of those archives and archival collections that remain inaccessible for use by the public and by scholars, as well as promote discussion on legal restrictions that affect the use, copying, and public presentation of the material evidence of the Holocaust.